varenna / cucine / twelve Kitchen Poliform Varenna Twelve equipment and filling, made for corona render and vray. Includes all equipment and decor. 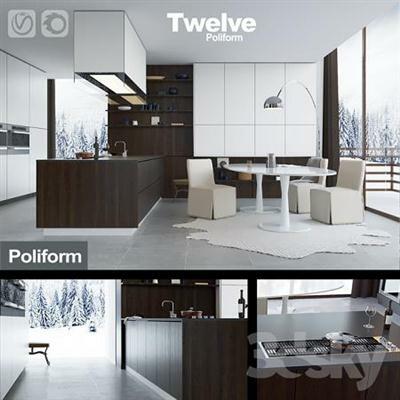 Kitchen Twelve was born as a result of the study of advanced design, connecting the minimum horizontal lines with a maximum width of surfaces. The volume is created by the absence of handles and the exceptional variety of finishing materials.